I'm just going to hit the ground running here, and sweep you right along with me on my literary adventures! I'll be writing several different types of blog posts; my hope is that, over time, you'll be able to click on "Lit Quick Picks" as a category and dozens of little documents will coming streaming out for you to peruse, like rubber ducks on a river tide. All Is Not Forgotten by Wendy Walker: #preparetobedisturbed #memoriescantbeerased #didimentionitsdisturbing? With all this back to school attitude in the air, are you feeling the need to polish up your (possibly nonexistent) Shakespeare cred while also looking halfway cool to your kids? It's not impossible if you pick up Ryan North's Romeo and/or Juliet: A Chooseable Path Adventure. Yep, it's the Bard through the lens of every 80s child's favorite genre: Choose Your Own Adventure. North keeps it fun and engaging without denigrating Sir Will. Paperback version recommended - you are going to want to be caught reading this baby by pretty much everyone. Missing the 20th century? This adorable retro typewriter keyboard might be just the thing. 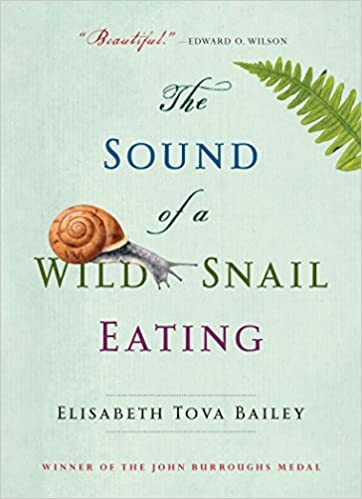 I really want to read this book, but I'm afraid I'll need to get a pet snail once I read it! If it had been at all feasible, I definitely would have purchased a pet octopus after reading Sy Montgomery's beautiful love letter to the species, The Soul of an Octopus, this summer.